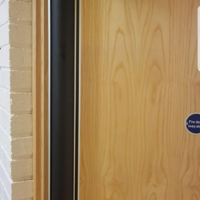 Popular in schools, nurseries and care homes nationwide the unique design of the Door Finger Protector® enables it to be secured in most cases without the need for screws or nails, therefore no damage to door or frame and no compromise of fire door integrity. However, if required (i.e. due to poor surface condition) additional screw fixings can and will be used. 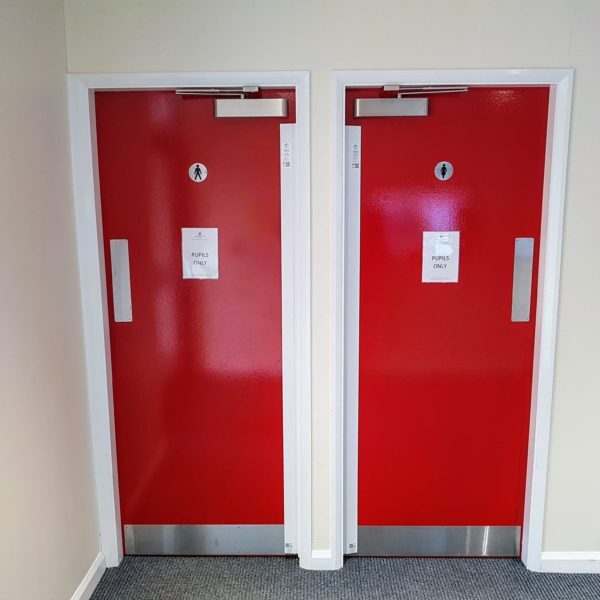 Crucially, Door Finger Protector ® is one of the safest finger guard devices available as it cannot be imploded into the hinge cavity, which could potentially jam open fire doors AND cause damage to itself. 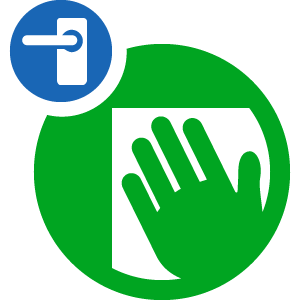 Ergonomic design makes Door Finger Protector ® unobtrusive and inconspicuous. 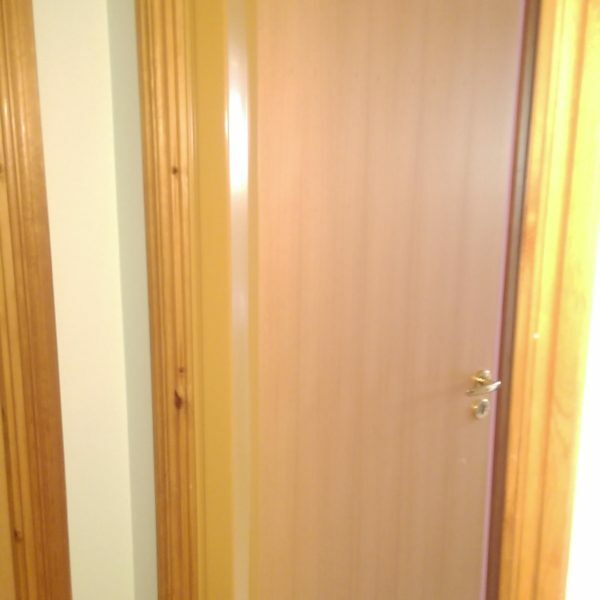 When installed it creates NO resistance or restriction to the normal operation of a door. 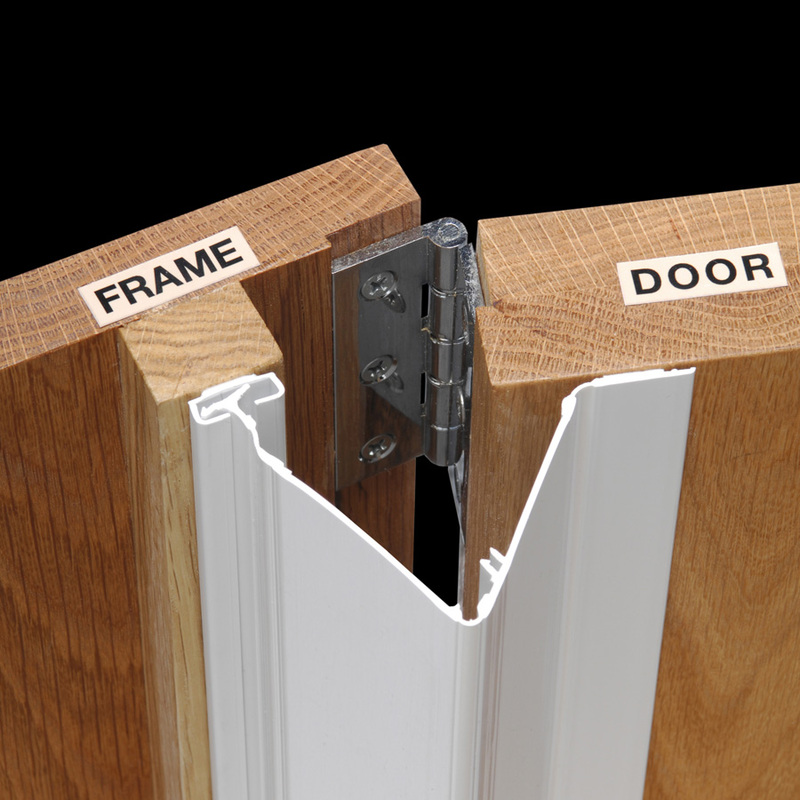 Unlike virtually every other door finger guard on the market, Door Finger Protector ® is easily removed and replaced to accommodate door or hinge maintenance. 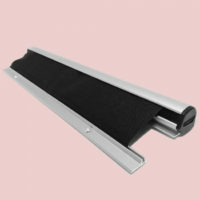 Manufactured with Lead and Cadmium-Freeproducts, which are fire and adhesive tested and rated to S1755, ISO1182 and BS476. 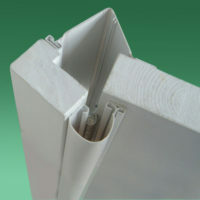 1985mm standard length can be easily cut down to fit all door heights. In addition to DoorTECH's comprehensive 12 month product and installation guarantee across our full range, Door Finger Protector ® comes with a 10-year manufacturers warranty against material defect. 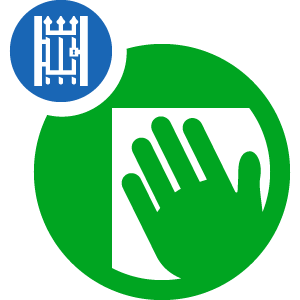 Door Safety is important to us, so we recommend The Door Finger Protector ® a finger guard that eliminates fingers entering the dangerous gap along the hinged side of doors. 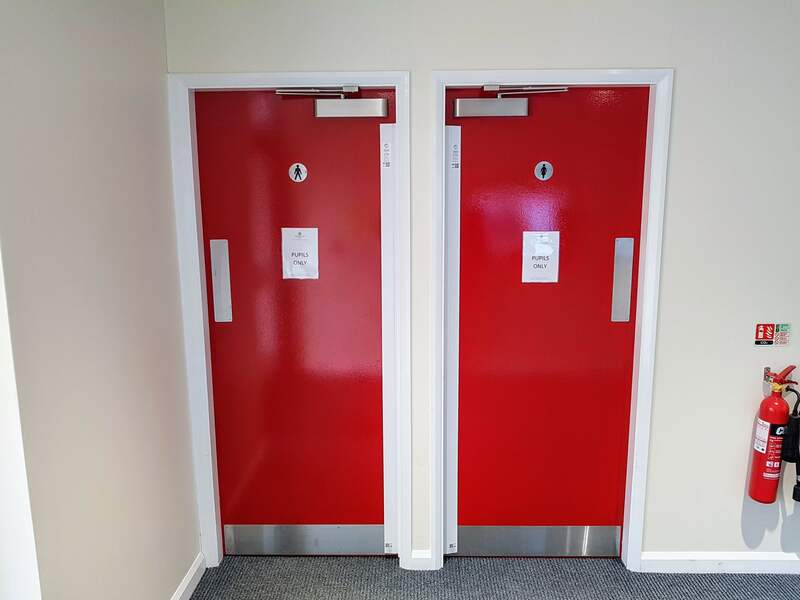 The unique design enables it to be secured in most cases without the need for screws or nails (unlike most other door finger guards), therefore no damage to door or frame and no compromise of fire door integrity. However, if required (i.e. due to poor surface condition) additional screw fixings can be used. 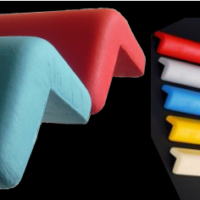 The Door Finger Protector ® is used in a variety of different nurseries, schools, leisure centres and care homes providing total finger protection. 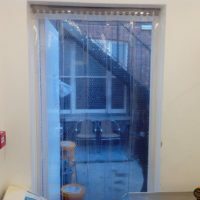 The standard sized Door Finger Protector ® will cover a normal 45mm thick door as long as it cannot open any wider than 130 degrees, if the door can open wider than this or is 60mm thick an extended unit is required. Available in; White, Beech, Mahogany and Grey. 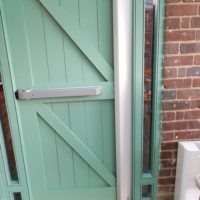 With some UPVC Flag hinged doors that open to 180 degrees a triple extended may be required please phone us for advice if this is the case. Call us today to take advantage of our nationwide installation service. Next working day delivery if ordered before mid-day! 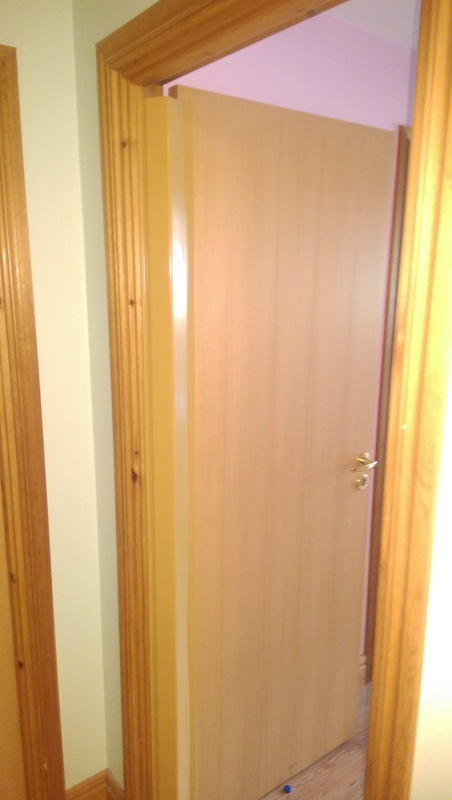 Not sure what Door Finger Guards you require?